I've gotta give Noah Baumbach credit: he's very much a film auteur. * In the same way that Hitchcock fixated on Grace Kelly and Woody Allen used Mia Farrow in every damn thing for a time, Baumbach has the same sort of fixation with Greta Gerwig. Much like in Frances Ha Baumbach makes Gerwig a central quirky character of Mistress America, trying to find her way in the crazy city that is New York. The plot follows young Tracy (Lola Kirke), a college freshman who has just moved to NYC to go to school, but who's having a rough time fitting in. The boy she likes doesn't like her back, she can't get into the prestigious lit society, and she's having a terrible time making friends. At her mother's urging, she calls her soon-to-be stepsister to try and make a new friend in the city. Instead of an awkward encounter over coffee, Tracy is swept off her feet by the spontaneous and jubilant Brooke (Greta Gerwig). Getting wrapped up in a tornado of amazing city experiences, Tracy and latches onto Brooke and her plans to start an incredibly unique restaurant in Williamsburg. But just when things start looking up for Tracy, Brooke gets the news that she's lost funding for her project. Trying to remedy everything and save the dream restaurant, Tracy, Brooke, and a motley crew of friends work out what's to be done. So...let me just say right off the bat that I did like this movie, but it wasn't what I dreamed it would be. Thematically, Baumbach maintains the sort of girl-centric themes that make his other films, like Frances Ha and Zoe Versus, so comically endearing and quirky. But this isn't Frances Ha. And I think it's hard to go from a movie that you really love, like Frances Ha for me, to a movie that's just...similar. 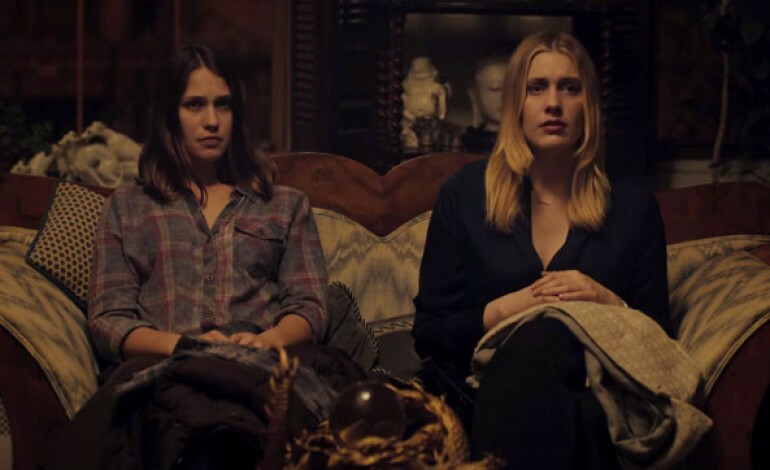 Instead of seeing the movie objectively I feel like I got kind of wrapped up in how Mistress America (which is a damn good title by the way) wasn't like Frances Ha. Principally, I did not really like the main character. While I think we're supposed to feel endeared to Tracy for being so young and so attached to Brooke so quickly, there was something I found mildly weird and annoying about her. I can't tell if it's my annoyance with high and mighty hipster kids or if she's supposed to be that way on purpose but I just didn't really empathize with her very much. Brooke, too, is a bit of a letdown. While the movie takes efforts to maintain a lightness despite its complex themes (something I want to commend Baumbauch for, honestly), there's almost a lack of heaviness to the movie that makes it read a bit oddly. Like why is Tracy acting so weird towards her guy friend all of a sudden? How is Brooke a high-functioning adult with so much A.D.D. in regards to her lifestyle? Why is Brooke so mad at Tracy? What are the consequences here? What's going on? However, I've got to say, if there's one thing that I did enjoy about the movie, it's that Baumbach is again a trailblazer in making women's films. Instead of pursuing predictable tropes like Brooke or Tracy falling in love with some boy and having that be the central driving theme, it's nice to see a plot that centers around girl friendships and girl identity without taking itself too seriously. Tracy and Brooke spend the film trying to find what makes them happy and, while the film ends without any sort of profound conclusion, it's nice to see these themes play out with them in the spotlight. To elaborate, many times we see female characters try and "find themselves" through romance, but this movie gives them the vehicle of female friendship. I dunno. Cool theme-wise but the character of Tracy seemed a bit too complex for Kirke to pull off without seeming like she was trying too hard. 7 outa 10, mostly for Baumbach. Not bad, but not as good as Frances Ha. *Sorry, Breaking out the hoity-toity film lingo again. A film auteur is a director with a marked film style who makes the film according to the way they see it. Or, as defined by our favorite lazy source for everything, Wikipedia: "In film criticism, auteur theory holds that a film reflects the director's personal creative vision, as if they were the primary "auteur" (the French word for "author")." I'm excited for this one, mainly because of my love of Frances Ha, so I'm disappointed to hear that it's a step down...but I'm still excited based on your review, since it seems that it's still well worth seeing. I was surprised that I enjoyed Frances Ha. I was sure I wouldn't. I just walked by the poster of this film in the theater today, it's a shame to here it isn't as good. I'll probably still see it eventually.